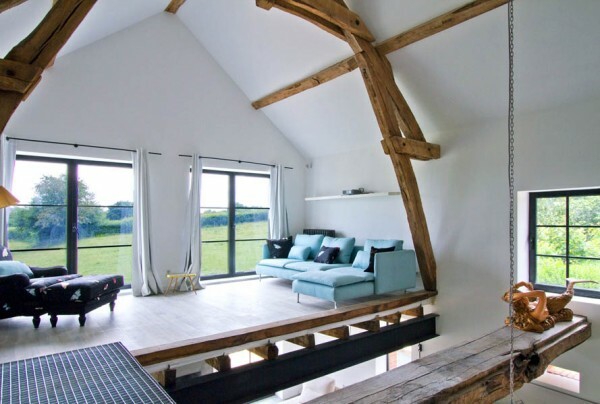 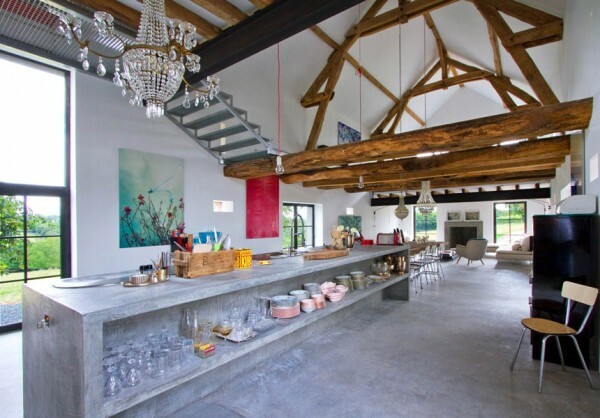 We fell in love with this stunning house that once used to be a barn. 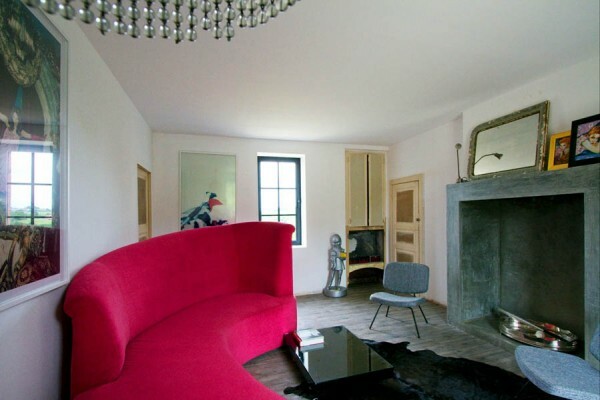 The French interior designer Josephine Gintzburger is e true miracle-maker. 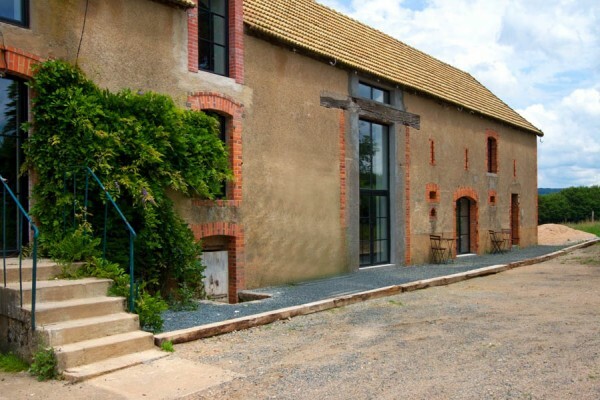 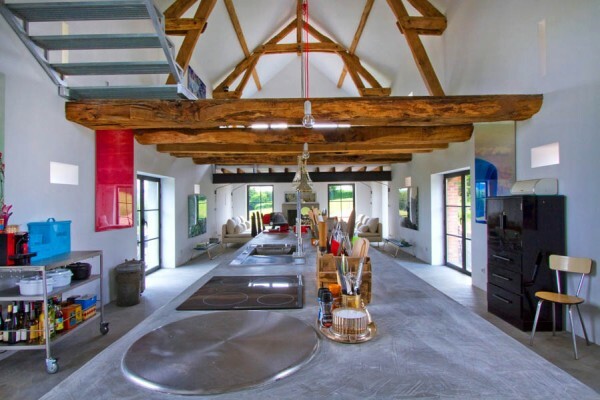 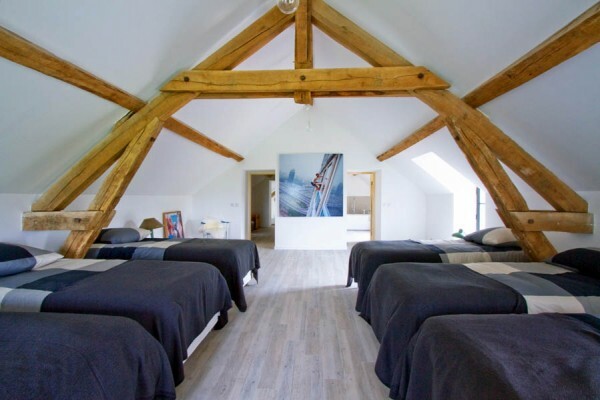 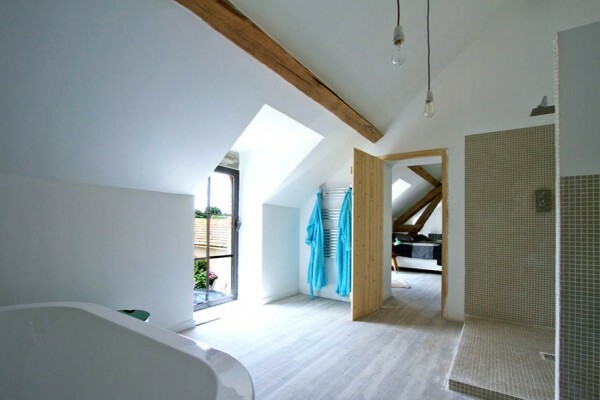 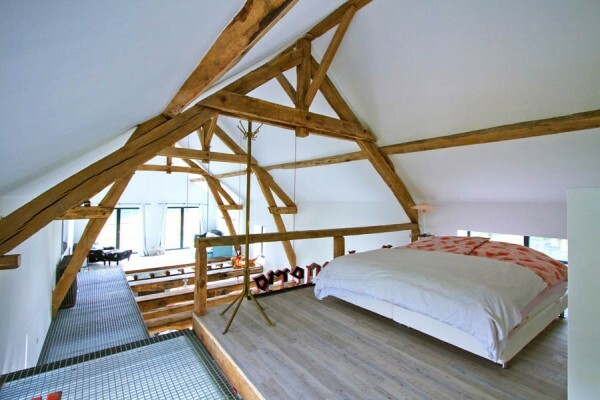 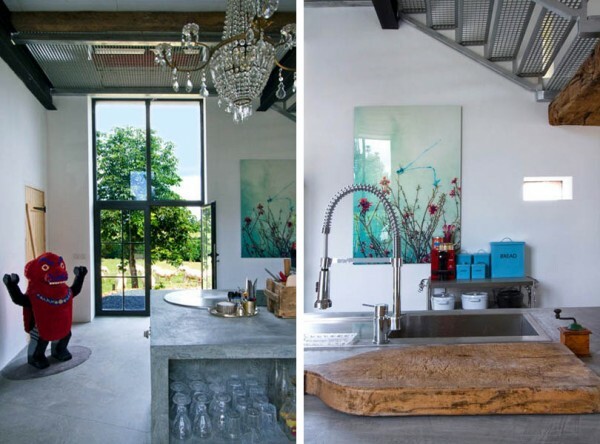 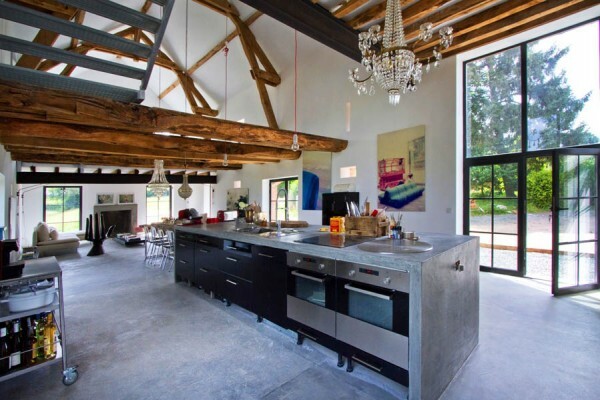 She has transformed the old barn, located in Burgundy, France (walk around on Google Street View) into a cozy and contemporary family home. 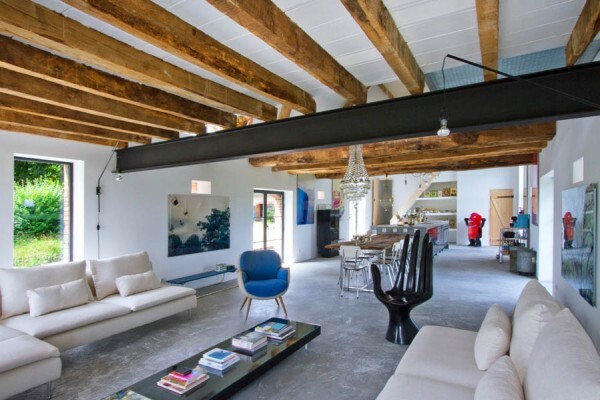 The mixture of old and new makes this house unique. 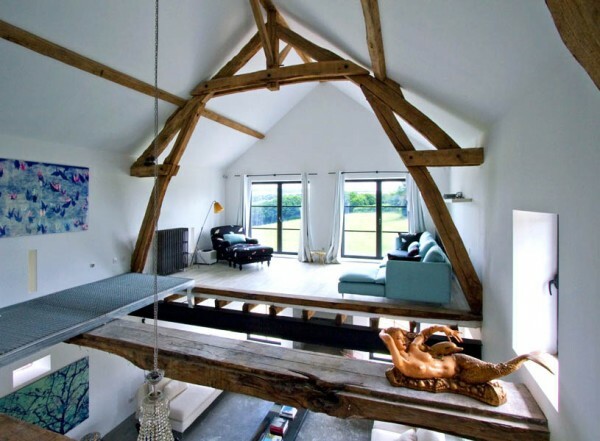 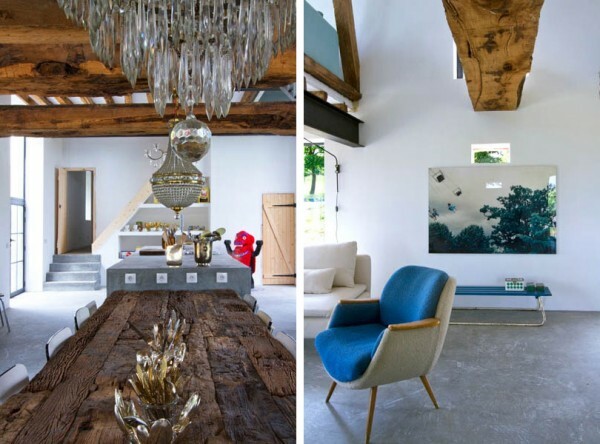 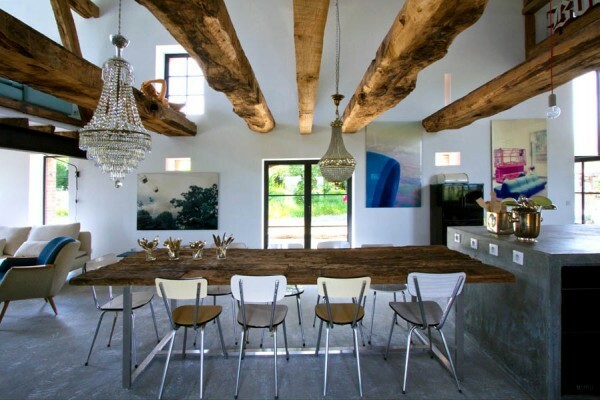 The designer has used old wooden beams in a combination with classic furniture and modern pieces of art. 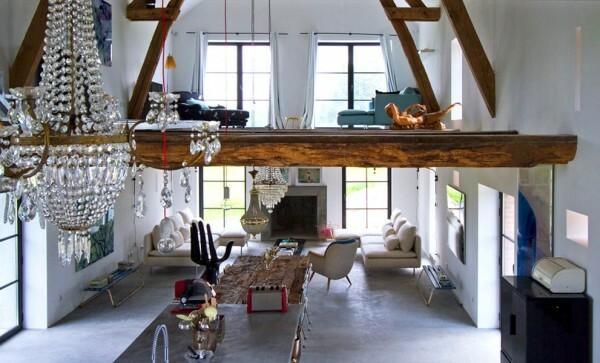 The disposition of the house is also very attractive. 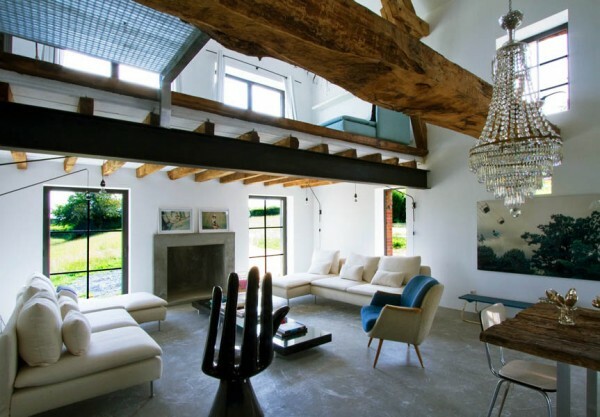 On one common area you can find a living room with a fireplace, a kitchen with a large concrete plot, and a dining room. 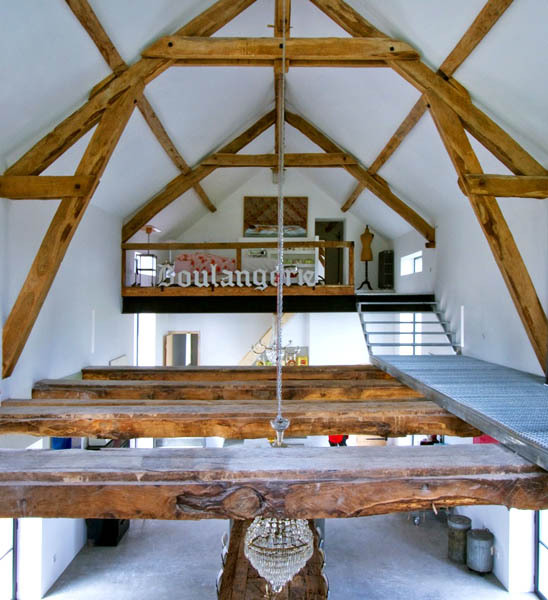 Above them there are two living areas located at the both ends, under the sloped ceiling. 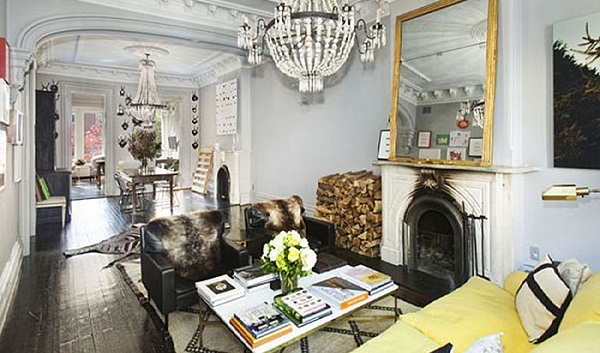 One serves as a second living room and a reading corner, while the other serves as a bedroom with a bathtub right in it. 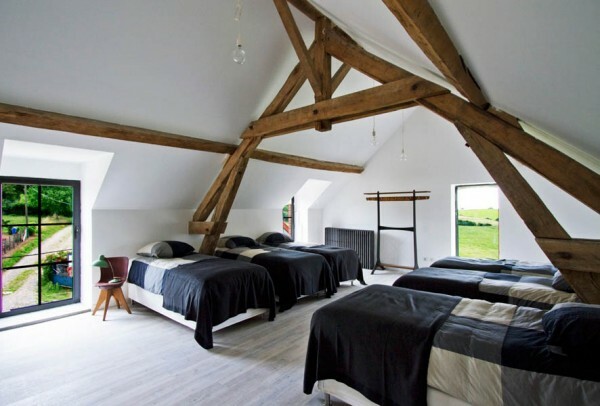 The house hosts also a guest bedroom with six beds.